FRIENDS OF The Tenth have hailed the “incredible generosity” of fund-raisers who have helped them to take a significant step towards their £75,000 target for a commemorative sculpture to honour the 10th Battalion, the Parachute Regiment. The appeal fund doubled to almost £15,000 within the space of a few days, largely due to a donation of £5,110 raised by the Pegasus Appreciation Group from an auction which was held among their members on Social Media during November. 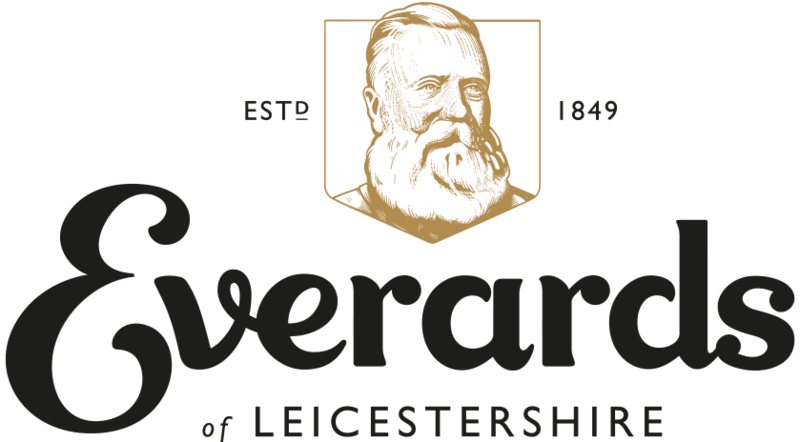 In addition to that major boost, Friends of the Tenth also received further money from one of their major supporters, 10 Para, and £1,800 recently donated by Everards from proceeds of sales of a special guest beer, Myrtle, in September. “Suddenly, that £75,000 target doesn’t seem quite as far away now, and that is due to the incredible generosity of people who have pledged their support to our cause,” commented Alec Wilson, Chairman of the Friends of the Tenth group. “We are barely three months into our mission to raise this substantial amount, so we are delighted with the progress which has been made so far. The Pegasus Appreciation Group chose Friends of the Tenth as their Charity of the Month for November when they held an online auction among the 2,400 members on their closed Facebook group which proved as popular as ever. “The success of this latest Charity of the Month event means we have now raised over £70,000 from our auctions in 2017, which in itself will be encouraging to Friends of the Tenth as they aim to reach the £75,000 mark,” commented Greasley. 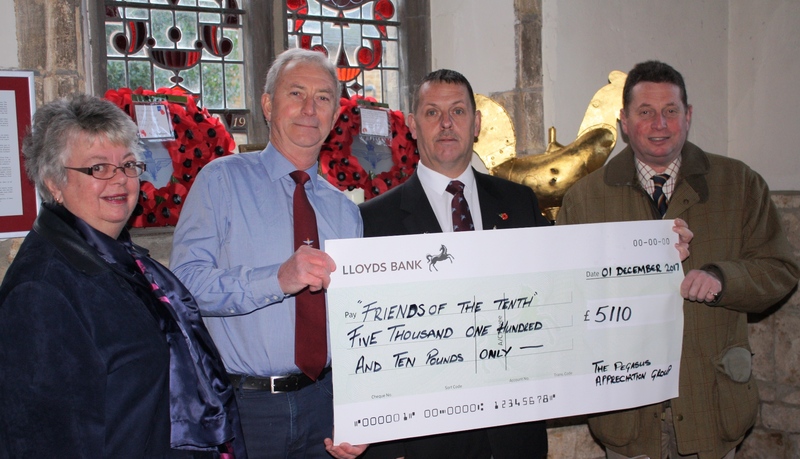 Friends of the Tenth have in turn shown their appreciation of the fund-raising undertaken by Terry Lowe which has led to the latest donation from 10 Para. The group has already received proceeds from a 10 Para reunion weekend in October, while Lowe has added several donations from sales of items, including badges and t-shirts. Now, they have presented a further £2,000 which had been held in the Croydon Parachute Regiment Association since it was raised by a Christmas function two years ago. “Terry’s energy and enthusiasm for helping our cause is truly remarkable and we are indebted to both him and Colonel John Power for this latest donation,” said Wilson. Pictured are (from left to right): Pat Fynn (Somerby Parish Council), Alec Wilson (Chairman of Friends of the Tenth), Rich Greasley (Pegasus Appreciation Group), Tim Hall-Wilson (Friends of the Tenth).